Candelabra LED light bulbs are special types of LED light bulbs that come in unique designs and sizes. Candelabra are commonly used to for Christmas lighting applications i.e. decorating commercial buildings, homes, Christmas trees e.t.c. They are popular because they have a very wide selection that allows very many applications. Candelabra LED lights are available in any size, design and color temperature you can think off. 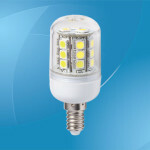 It is possible to find a wide variety of elegant and energy efficient Candelabra LED light bulbs. Energy efficient Candelabra light bulbs with low Wattage i.e. 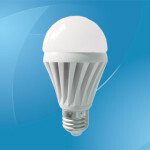 5 Watts give off superior light intensities comparable to 40 watt standard (incandescent) bulbs. This is one of the main reasons why many people prefer Candelabra LED bulbs. They bring a new meaning to light intensity and energy efficiency without compromising the beauty and safety of your office, home or commercial property. There are a number of factors to consider when choosing Candelabra bulbs. Some of the main factors to consider include; lumens, color temperature, comparisions e.t.c. 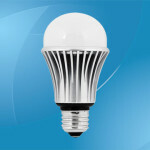 Below is a detailed discussion that should help you choose the right Candelabra LED light bulb. 1. Lumens: Candelabra LED light bulbs come in different Luminous fluxes (lumens) which is a measure of the amount of light emitted by a bulb. As mentioned above, Candelabra bulbs generally produce more lumens (more light) compared to standard bulbs. When choosing the appropriate Candelabra bulb to buy in regards to lumens, you should choose one that is appropriate. For instance, a 5 watt Candelabra bulb is adequate enough to replace a 40 Watt standard bulb producing between 350 and 480 lumens. A 10 watt Candelabra bulb should therefore be adequate enough for standard lighting. 2. Color temperature: Another important factor to consider when choosing Candelabra LED light bulbs is color temperature. Color temperature is simply a measure of the hue of a light source. Color temperature is measured in Kelvin (K). Candelabra bulbs offer the best variety in terms of color temperature. If you want a Candelabra bulb to emit cool colour, you should go for a higher color temperature i.e. 4000K. In case you are looking for a bulb that emits warm color, you should choose a lower color temperature i.e. 2700K. 3. Comparison: This is also another important consideration when choosing Candelabra LED light bulbs. 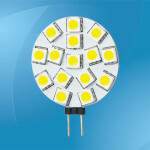 Most people consider using Candelabra LED bulbs because they are more energy efficient, they produce better light e.t.c. When replacing standard light bulbs i.e. incandescent and compact fluorescent bulbs with Candelabra LED bulbs, you must consider comparison to choose the best Candelabra bulb replacement. For instance, to replace a 60 watt incandescent and a 20 watt compact fluorescent bulb, you need to buy a 9 watt Candelabra LED light. The 9 watt Candelabra bulb will replace the two standard bulbs effectively and offer added benefits i.e. a longer lifetime i.e. 50,000 hours compared to the 1,200 hours and 10,000 hours offered by the incandescent and compact fluorescent bulbs respectively. Other added benefits include a lower heat waste percentage of 10% compared to the 90% and 50% heat wastage percentages of incandescent and compact fluorescent bulbs respectively. In summary, Candelabra LED light bulbs offer superior benefits compared to standard incandescent and compact fluorescent bulbs. 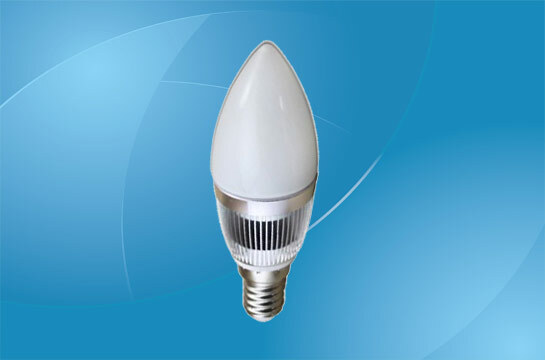 If you are looking for energy efficient bulbs which emit more light without emitting a lot of heat, you should choose Candelabra LED light bulbs. Candelabra LED bulbs are also safe because they have a low fire risk and they don’t contain mercury.